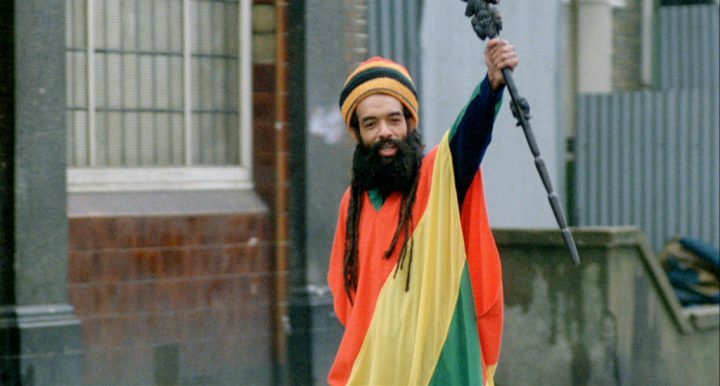 Neorealist filmmaker Franco Rosso discovered this musical world in South London, filming Babylon as an unfiltered document on a riotous period of racism and militancy. The screenwriter, Martin Stellman, had worked as a community organizer in the neighborhood and fallen in love with reggae (Stellman recently wrote the screenplay for Idris Elba’s Yardie, a reggae movie about gang violence). 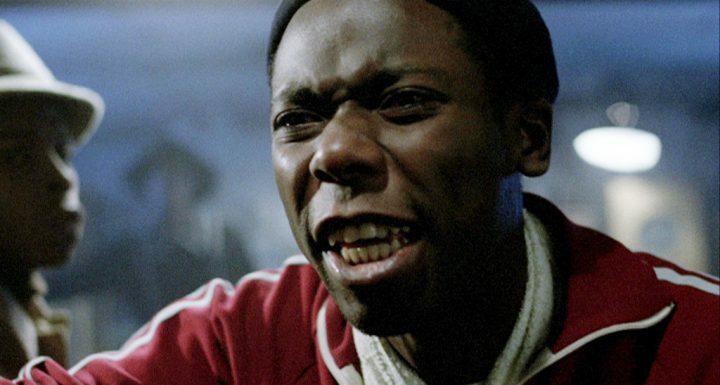 Along with future Oscar-winning cinematographer Chris Menge, they recruited a crew of young gifted Black artists to tell the stories of their generation; a Jamaican-British version of Scorcese’s Mean Streets. Sound system DJ Dennis Bovell (whose parties were routinely attacked by police) crafted a deep roots reggae soundtrack. 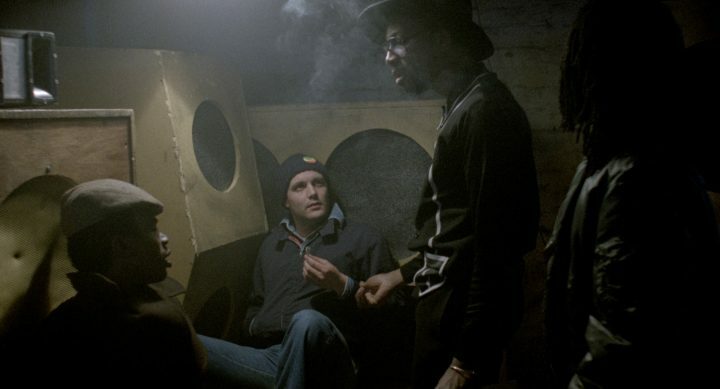 Babylon is the story of a crew of young sound system DJs called Ital Lion. 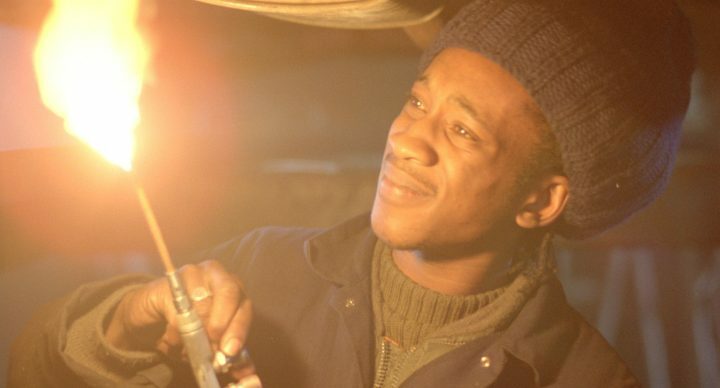 Blue (Legendary Reggae act Aswad’s singer Brinsley Forde), a mechanic, is the leader. As his comrades battle all challenges and odds to put up the next warehouse party, Blue’s life gradually falls apart. His racist boss fires him. His family rejects him. His girlfriend leaves him. He is tracked and assaulted by police. Meanwhile, the crew’s neighbors grow increasingly vitriolic, eventually breaking into their warehouse and spraying it with xenophobic words. A race war is ignited, and Blue, despite being lectured about peaceful resistance by a Rasta priest, is compulsively drawn to stab a white man to death. This act seems to free him of his anger as he travels to the sound clash, where sound systems compete for the best tunes and rhymes, for the final scene of the film — a jubilant celebration of protest, where he screams the improvised lyrics “We can’t tek no more of dat” in unison with the crowd as police destroy the gates. The film was X-rated in the UK, banned from the New York Film Festival for “being too controversial, and likely to incite racial tension” (as reported by Reggae historian Vivien Goldman, in a Time Out cover story from that year) and never released in the US, until now. The film’s Patois dialogue was also cited as an issue. 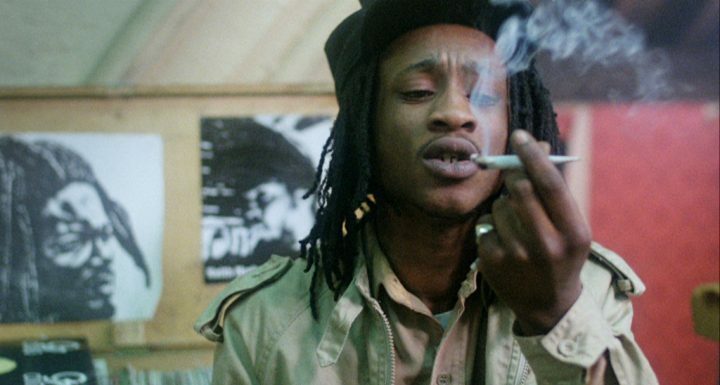 But with its vivid cinematography, incredible soundtrack, and powerful message, it became a cult flick for Jamaicans and reggae heads around the world. It has become an icon of its time and a cinematic classic, influencing generations of artists. Indeed, Jamaica’s post-independence era has been a subject of particular fascination. This is when a modern Jamaican identity came to life, emerging from a grassroots language and experience. Its singular style, music, and even its ravaging violence have been repeatedly hyper-aestheticized. 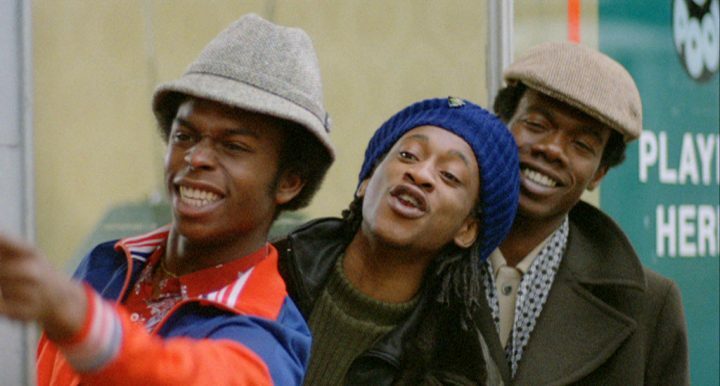 The period’s groundbreaking films, including Countryman, Rockers, The Harder They Come, and later Babylon, were made by white directors who both loved and fetishized reggae culture, while Pressure and Burning an Illusion are notable films about Black Londoners’s lives by West Indian British directors. Grippingly, Marlon James tackled the layered sociopolitical and musical realities of Bob Marley’s Kingston in his epic A Brief History of Seven Killings, tracing the migrations that followed his death in a divided Jamaica. And now Idris Elba’s Yardie is a Black take on gun violence and sound systems from Kingston to London at the dawn of the more aggressive Dancehall movement, which departed from roots reggae’s peaceful message to reflect gangster culture as Jamaica sank into terror. 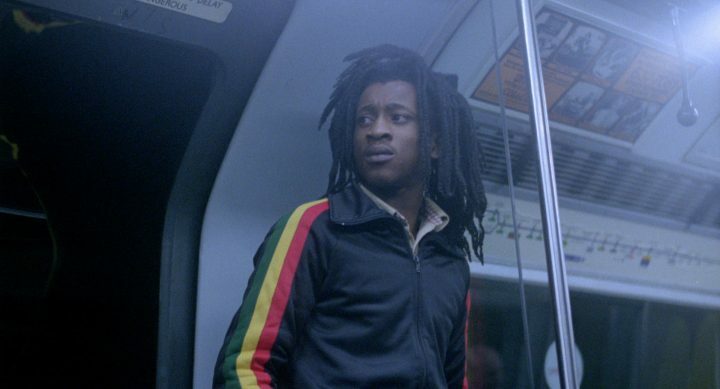 As Babylon finally premieres in New York 39 years after its release, the UK is still home to extreme anti-immigrant sentiments. Jamaica is coping with institutionalized colonial structures, inequality, and decades of partisan and ghetto wars. Western regimes are still erecting walls and erasing cultures. And low-income Jamaican youths across the diaspora, in Brixton, the Bronx, Brooklyn, and Kingston, are still driving their giant speakers around, collecting hits and breaking into rhyme as crowds come together and dance. The promised land remains a faraway dream, but reggae’s soul continues to thrive, pure and rebellious as ever. Zion train is coming our way. Babylon is playing in select theaters across NYC and California through March 21 and will travel to other states throughout 2019. See the full list of screenings here.